"But it is not as though the Word of God has fallen to the ground. For they are not all Israel, who are of Israel." The fact is we do not lack any words on the Lord's behalf, nor is there the need to show His promise, did not fall to the ground. For when the Lord (YHWH) said to Abraham, 'To your seed I will give this land,' we need to understand what kind of seed He was speaking about." See the attached PDF files for this month's full teaching and to order the study booklets. 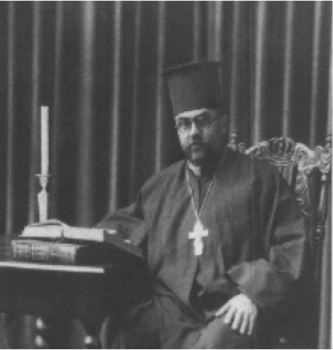 Father Elias Hawy was once the pastor of St. George Syrian Orthodox Church in the mid-1920s. He was born in Syria and came to the United States when he was 17. For a number of years he was engaged in business at Boston, Mass. In 1919 he returned to Syria in order to pursue studies for the clergy. He attended the Syrian Orthodox Seminary at Mount Lebanon and was ordained a priest. In 1926 he returned to the United States and was appointed a pastor at St. George's Syrian Orthodox Church at Northwood, Massachusetts. He was ordained a priest in America by Archbishop VICTOR Aboassaly of Brooklyn. Not much is known about his tenure as pastor of St. George, or of his death. Nonetheless, he faithfully administered to over 50 Syrian families in his parish. He served the liturgy in both Arrabic and English, and provided a Sunday to school class in the evening on every Sunday. Born Mirshad Koury in the village of Toumeen, Syria March 12, 1872, Fr. Melitios was the son of Fr. Khalil Koury, and grandson of Fr. Meletios Koury. He emigrated to the United States with his wife Thekla in 1905. He was employed as a butcher, moving first to Allentown, Pennsylvania, then Trafford, and then Braddock, before finally settling in Homestead around 1914. Father Melitios was ordained priest in 1918 by Bishop AFTIMIOS Ofiesh, taking the name Melitios. As a priest, he would travel extensively as a circuit priest in order to serve the Arab Orthodox community in Pennsylvania before permanent churches could be established. He was pivotal in establishing St. Michael of Homestead, which he helped merge with St. George of Pittsburgh in the early 1950s. That church is now St. George Cathedral of Oakland in Pittsburgh. Father Melitios often did his own construction work, including much of the work that was done on St. Michael's. He was known as a very resourceful man, making ends meet for himself and his community with whatever means available. He died of pneumonia on April 11, 1966. On July 8, 2018, His Grace Bishop THOMAS visited St. John Chrysostom Church in York, Pennsylvania. July 8 is the 30th anniversary of the ordination of Bishop THOMAS to the Holy Diaconate. 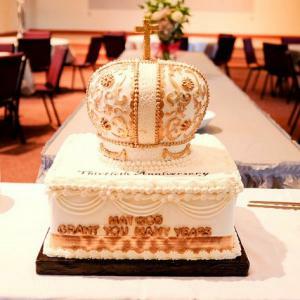 There was a reception for His Grace that featured much rejoicing, as well as a very unique cake on display that commemorated this important milestone in the life of the Diocese. There was also another celebration that took place this day. Bishop THOMAS also celebrated the 40th wedding anniversary of Fr. Peter and Kh. Pamela Pier, shepherds of the St. John Chrysostom parish. Father Peter and Kh. Pamela were crowned by His Grace before the assembled congregation in a joyful remembrance of their wedding day. 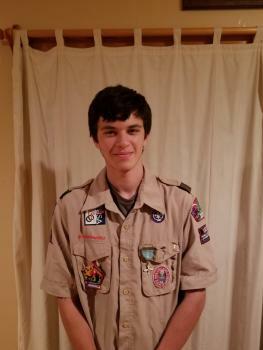 The Eastern Orthodox Committee on Scouting (EOCS) is pleased to announce that a scholarship of $1000 has been awarded to Isaac Gabriel Abdalla. He was selected from a nationwide group of highly qualified applicants who had received both the highest award of their Scout organization (Eagle or Gold, for Boy Scouts of America and Girl Scouts of the USA, respectively) and the highest Orthodox Christian religious award, the Alpha Omega medal. Students were evaluated on how they demonstrated love of God and their Orthodox Christian Faith through scholarship, leadership, service, and practical citizenship in their church, school, Scouting unit, and community. 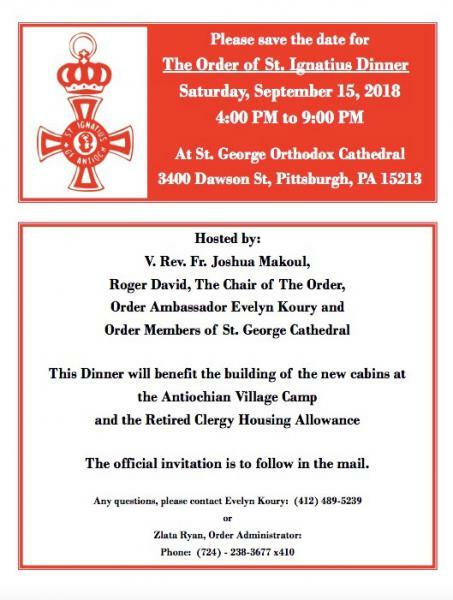 Isaac Gabriel Abdalla is a communicant of St. George Antiochian Orthodox Cathedral in Charleston, WV. He attended Capital High School, and his most recent Scout units are Troop 64 and Venturing Crew 64. Among his many distinctions are completion of every merit badge in the Boy Scout program, Brotherhood status in the Order of the Arrow, extensive community service, and a massive Eagle Scout project that resulted in over 12,000 food items being collected for a local food bank. He graduated in the top 3% of his class, has been very active in his parish, played varsity sports all high school years, and both participated in and led state championship chess teams. Isaac will attend West Virginia University this coming fall and plans to major in engineering. Father Paul was born on April 11, 1916 on a gold mining property owned by his family in Ophir, Alaska. 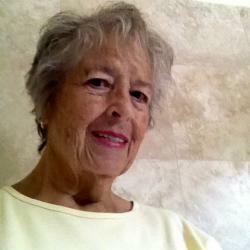 In 1942 he married Shirley Dillon Warriner Page of New York and Far Hills, New Jersey. His mother’s side of the family - the Sutfin’s - arrived from Holland in 1676 and settled in what is now called Bay Ridge, home of Father Paul’s last parish. Father Paul was a mixture of German and Dutch ancestry; a cultural heritage he wore well. 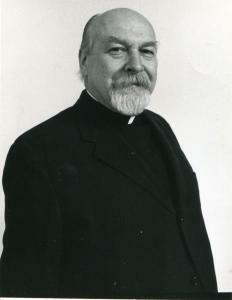 William Sutfin Schneirla, taking the name, Paul, was ordained by Metropolitan ANTONY in 1942. One Sunday when serving together in Iron Mountain, MI, the newly ordained, Father Paul, could not find a hand cross for His Eminence, so he handed him the processional cross. Looking at this large cross, ANTONY quipped: “I asked for a hand cross not a German war club!” There was great levity in their relationship. Metropolitan ANTONY loved Father Paul: they had a symbiotic relationship all through their years together. Saidna had so much confidence in his friend that he appointed him Ecumenical Officer to represent him in these circles.Based on the Encyclical of the late Patriarch ALEXANDER and the foresight of Metropolitans ANTONY and PHILIP, Father Paul launched the Western Rite with Orthodox content, thus allowing North Americans, used to their own traditions, to be fully integrated into the Antiochian Church of North America. Father Paul was both a forerunner and a leader of all that was best in mankind. Whether in his ecumenical encounters or the pursuit of Orthodox Unity, Father Paul was an activist and an authentic sober leader respected by all who encountered his genius of articulating what is true. He was at once subtle but poignant and profound. Farris Kacere was born in Lebanon in 1885 and moved to the United States in 1908. He married Mary Kawaja in 1915 and was ordained as a priest in 1916, taking the name Joseph. Though not the first priest to serve at St. George Orthodox Church in Cedar Rapids, his legacy there is extraordinary nonetheless. For the next seventeen years, Fr. Joseph’s leadership and dedication to his parish would help to build a strong and faithful community, growing the parish to over 500 persons. The evidence of his love of and dedication to his church and parish is known through his many contributions. Father Joseph started the first Sunday School, teaching children and many of the parishioners not only English, but Arabic as well. Many were to become so fluent in Arabic that they were capable of reading the epistle during services as well as serve as chanters. He began and conducted a choir of sixty youth voices which sang entire services in Arabic. He would often give legal advice and counseling to those members of his parish in trouble. Once, his civil activism lead him to prevent the deportation of one Freddie Abdnour, an eleven year old newsboy. In 1931, through his leadership and energy, the church was able to purchase a plot of land that would become the St. George Cemetery. Father Joseph also showed his desire to participate in civic organizations apart from the church, such as becoming a valued member of the Mt. Hermon Lodge. Tragically, Fr. Joseph’s beautiful life came to a sudden end when he, his mother, and ten year old son, were killed in an automobile collision while on their way to perform a baptism. According to news reports, over 1500 persons attended Fr. Joseph’s funeral, including His Eminence VICTOR AbouAssaly, Archbishop of New York. He was buried in the cemetery he helped establish. 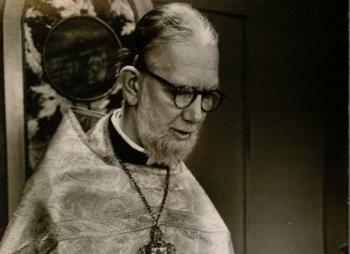 Basilios George Mahfouz, the son of the priest Fr. George Mahfouz and Susan Homsey, was born in Damascus, Syria in 1889. Basilios immigrated to Quebec in November 1902 along with his parents and siblings. His father was assigned to serve the church of St. Nicholas in Montreal. Basilios remained in Quebec and worked as a fruit merchant with his older brother George. He also worked briefly as a bookkeeper in Cleveland, Ohio. In 1917, he married Takla Neimy in Grand Rapids, Michigan. They were married by Fr. Phillip A. Assaley at the St. Nicholas Syrian Orthodox Church on September 30, 1917. Basilios George Mahfouz was ordained a priest by Archbishop AFTIMOS Ofiesh on Sunday November 18, 1917, becoming the 21st priest in direct succession of the Mahfouz family of Damascus. His priestly ancestry extends to the fifteenth century. The ordination took place at Holy Trinity Greek Orthodox Church in Holyoke, Massachusetts, during the consecration of the church. Following his ordination, Fr.Basilios was appointed pastor of St. George Syrian Orthodox Church of Lawrence, Massachusetts. In April, 1920 he went to serve as the first priest of St. Ellian Syrian Orthodox Church in Brownsville, Pennsylvania. After a few years in Brownsville, Fr. Basilios moved to Sioux City, Iowa where he served as pastor at St. George Syrian Orthodox Church. He then relocated to Boston in April 1926 to serve at St. John of Damascus Syrian Orthodox Church. In Boston, like his father Fr. Basilios, he would concentrate his efforts on unifying the community and ministering to their spiritual needs. 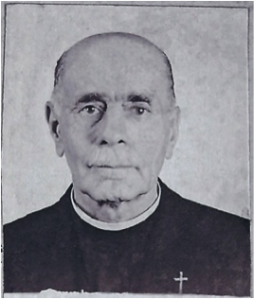 In 1927, Archbishop AFTIMOS appointed Fr. Basilios to serve as secretary of the "charter council" established to draft and present an official charter for the Archdiocese. In April 1928, he was elevated to the rank of archpriest. In the northern hemisphere, it’s summer time! For many families, this means a break from our usual school year schedule. We want to provide our children with plenty of time to regroup and rest after the intensity of their studies, because they have worked very hard. We want them to learn to have some unstructured time - and perhaps even a little taste of boredom - to give them the opportunity to invent and play their own games. But we also want them to continue learning, although perhaps in a different way than they are learning during the school year. And in the midst of all of of that, we want to make fun memories together as a family. To these ends, here is a small gathering of fun activities, learning opportunities, and ways to make this summer a little more fun. Try one or all of them, if you are so inclined! Tuck your favorite ideas into your back pocket if you’ve already got a good handle on your summer. It could be that one or more of them will come in handy at the last minute! Regardless of how we spend the summer, may we enjoy the change in schedule and savor the additional time to be together! Need ideas for preschoolers? How about some of these? This page offers 30 educational, creative, and budget-friendly (not to mention fun) ideas of summer-y things to do with kids! 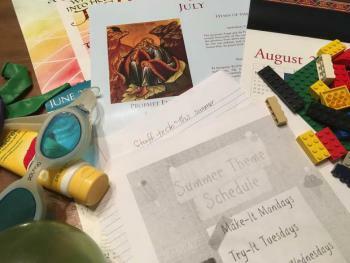 ​ It is summertime in the northern hemisphere, and for many of us, that means a break in the Sunday Church School routine. During this break, let us take time to be refreshed! Having a break gives us time to rest and to evaluate our work. How are we doing? What is working with our students? What is not? What other ideas are out there? What might we want to try that could improve the quality of our students’ education in the Sunday Church School classroom? Ever feel like you’re stuck in a rut or just need to breathe a little? This page offers 25 hands-on ideas that people in Christian ministry can do to reset their creative juices. Florovsky Week, a newly established ecumenical dialogue hosted in part by St. George Orthodox Cathedral in Wichita, Kansas, will take place on July 10–14, 2018. Dr. Bradley Nassif, a leading Antiochian theologian who is Visiting Professor at Holy Cross Greek Orthodox Seminary and the Patriarch Athenagoras Orthodox Institute, will deliver inaugural lectures for the Dialogue. The new annual Florovsky series honors the late Orthodox scholar, Fr. George Florovsky, one the greatest Orthodox theologians of the 20th century. The conference, commemorating the 500th year anniversary of the Protestant Reformation, will explore the topic "The Patristic View of Salvation: Justification by Faith Alone?" John Saba was born in Fia, El Koura, Syria in 1872. He married Anna [family name unknown] in about 1905 in Syria. They immigrated to the United States in 1908. 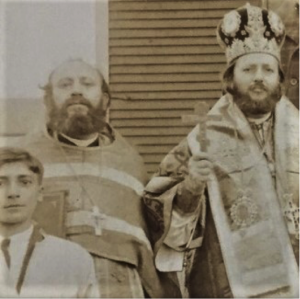 John Saba was ordained a priest by Archbishop GERMANOS Shehadi of Zahle on Sunday October 14, 1917 at St. Symeon the Stylite Syrian Orthodox Church in Ironwood, Michigan. Father John was appointed pastor of the parish that same day. Father John Saba is listed among the Syrian clergy loyal to Metropolitan GERMANOS Shehedi of Zahle. He served in Ironwood, Michigan from 1917 thru the early 1920's. In 1922 he served as pastor of St. George in Kearney, Nebraska. He is listed as serving at St. Michael the Archangel Syrian Orthodox Church in Geneva, New York in 1923. 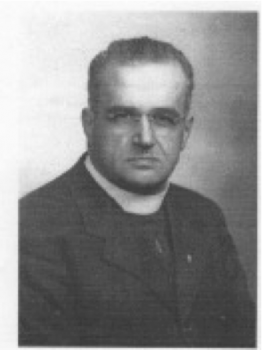 Father John also served at St. George Syrian Orthodox Church in Vicksburg, Mississippi in 1924 and 1925. In 1926 he is recorded as the priest at St. George Syrian Orthodox Church in Allentown, Pennsylvania. Abraham Shaheen Zaine, the son of Shaheen Zaine and Shateela Della, was born in Damascus, Syria on 15 September 1878. He married Najla Saad Thome, the daughter of Melhiem Saad Thome and Sada Shahady of Damascus, in about 1901. In 1905, Abraham immigrated to the United States, leaving his wife and two daughters in the care of her parents, while he sought greater opportunities to provide for his family. He arrived in New York on July 12 from Naples, Italy aboard the SS Rapiteno. He settled in Boston where he found employment as a cutter in one of the local shoe factories. He resided at 84 Kneeland Street in the heart of the city's "Syrian Colony." Abraham became an active member of St. George Syrian Orthodox Church on nearby Oxford Street and assisted the pastor Fr. George Maloof as a chanter and reader. He also accompanied Fr. George on mission trips to the New England 'Syrian' communities. Abraham became a shoe maker at the factory and by 1907, he had saved enough money to send for his family. On November 16 twenty year old Najla Zaine and her two young children, Julie and Linda, arrived in New York from Le Harve, France aboard the SS La Lorraine. Settling first at the Kneeland Street address, they soon moved to larger accommodations at 36 Hudson Street. Five more children, Charles, Rashalla, Mary, Alice, and Elaine, were born over the next ten years. Abraham petitioned for American citizenship on June 26, 1912 while living at 39 Albany Street and employed at the shoe factory. His occupation is listed as a bookkeeper. As we celebrate the liberty and freedom of the United States, let us be evermore mindful of Jesus, our Christ, and His being the true liberator of all mankind. For in this, He grants each of us the freedom to know Him as the Creator of all – and as our Father – through the covenant of His Baptism and our allowing this renewed relationship to happen. 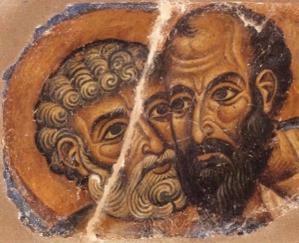 I greet you on this feast of the holy, glorious and all-praised leaders of the Apostles, Peter and Paul. As we have concluded the fast, we turn our attention to two pillars of the faith, martyrs for Christ, Peter and Paul. While there are many aspects of their lives and their ministry upon which we could reflect, two in particular stand out as worthy of our consideration and emulation. Both apostles loved the Lord Jesus Christ beyond human measure. That love was borne from profound repentance. Both had fallen but both repented with their whole hearts and the merciful Lord crowned them with glory. Khouria Anne Kenna fell asleep in the Lord on the morning of Friday, June 15, 2018. She was married for nearly 51 years to Archpriest James Kenna, who reposed in 2009. Her services were held on June 17 and 18 at St. Elias Orthodox Church in Austin, Texas, with Fr. David Barr. Khouria ​Anne is survived by her brother Charles Hollinger (Donna), her children, Siobhan Kenna, Gabhan Kenna (Maureen), Fiona Schlachter (Stephen), and Eoin Kenna (Suzzy), her niece Michelle Scott, and her grandchildren Andrew Kenna, Patrick Kenna, and Maryanne Kenna. They all miss her terribly already and are thankful to have been a part of her life. We love you Mom and Nana! In lieu of flowers, Anne requests that her friends and family consider a gift to the Lady Bird Johnson Wildflower Center​. 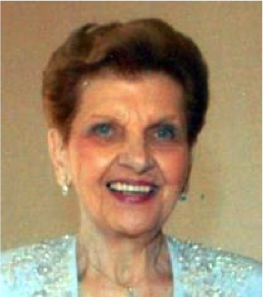 Jamila H. Nawfel, 92 of Waterville, ME passed away unexpectedly at her residence on Dec. 29, 2017. She was born in Natick, Mass. on Feb. 20, 1925, daughter of John A. and Rose J. (Homsy) Haddad. 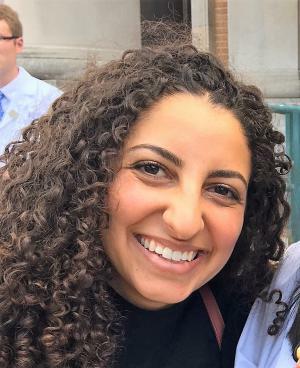 As a young woman, Jamila was very involved in her church, Saint John of Damascus in Boston, MA, where she was a member of the Syrian Orthodox Youth Organization (SOYO). She played the lead in many Arabic musicals in her church, and continued to recite some of her verses until the present day. One of the most important aspects of her life was maintaining her Arabic heritage with her family. She demonstrated this through cooking many traditional dishes, as well as baking many Arabic sweets up until the present. 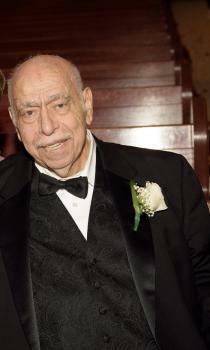 We are saddened to inform you of the passing into eternal life of Mr. Nicola Haddad, father of Archdiocese Board Member Ms. Darlene Haddad, who reposed in the Lord at the age of 88 on Wednesday, June 13, 2018. Funeral arrangements are listed below. Nicola died peacefully in his sleep, surrounded by his family. Born December 19, 1929 in Salt, Jordan to Deifallah and Fathiah Haddad, he was the beloved husband for nearly fifty years of Yasmin Haddad, the loving father of Nick Jr. (Rana), Nancy (Nabil) Khoury, Donna (George) Conopeotis, Darlene, and Michael; proud grandfather (Jiddo) of Jennifer, Dina, Hala, Haya, Linda, Diana, Nicholas, Albert, Amanda, Theodore, Alexandra and Katherine; caring brother to Jameel Haddad and Nada Khalifeh, and the late Tamam Nasser and late Iteiwi and Fadwa Haddad. He is also survived by his loving nieces, nephews, cousins, and dear friends. Find Us At The PLC!! The Department of Christian Education will have a representative at each PLC this summer. If you are interested in speaking with one of our Coordinators or Associates, please let us know. Do you need training for your teachers? Have questions about curriculum or current issues? Our staff is available for trainings and workshops at your Parish. Speak to our staff at a PLC or look for their contact information under Staff and Volunteers on our website. DOWAMA – Vasiliki Oldziey will be staffing our information table at various times and speaking to different groups throughout the conference. Stop by to discuss your needs, ask questions or just find out what the AODCE is up to! MIAMI – Our Director Carole Buleza will be at the conference with a display and information table and a workshop on Thursday, June 14. She’ll be discussing Fr. Anthony Bloom’s book “Churchianity vs. Christianity.” Come discover the difference between being a churchgoer and being a Christian. In the petition we pray during the Litany of Fervent Supplication in the Divine Liturgy, the deacon or priest intones: "Again we pray for those who do good works, for those who serve in this holy house, for those who labor, teach, and sing, and for all the people here present who await your great and rich mercy." 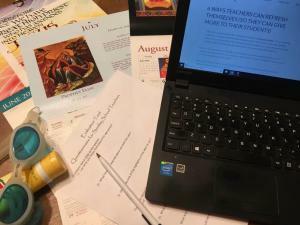 In the spirit of that prayer, a project was created to gather the biographical information of clergy known to have served the faithful of the Antiochian Archdiocese in North America since the first immigration of the late 1800s. Each one of these early priests to a greater or lesser extent contributed, through their labor and ministry, to the building up of the Orthodox Church in North America. Each one deserves our gratitude for their dedicated and sacrificial service. A central depository of records for Antiochian clergy does not exist and so the information contained in this list was gathered from numerous sources including but not limited to: archival issues of The Word magazine, Antiochian and Orthodox Church in America (OCA) clergy files, local newspaper articles, parish histories, published articles and books, immigration records, census reports, vital records, obituaries, cemetery records, family histories, and several other sources. Anna Rowe is in her second year as church school director at St. Michael Antiochian Orthodox Church in Van Nuys, California. The parish had 70 students enrolled in church school for the 2017-2018 school year. I love working with kids and helping them learn about Christ. I am from Kansas, and recently moved to sunny California! My favorite things to do in my new state are go to the beach and to hike the mountains. When I am not at the beach, hiking, or at church, I am teaching kindergarten. Did you have previous training/experience that prepared you for the Director role? I have a degree in education, and I am currently a teacher. Working with children has always been my goal! I was also a church school teacher at St. George Antiochian Orthodox Cathedral in Wichita, Kansas. Are there books, resources, etc. that you would recommend to Directors for their own development/enrichment/training in the role of Director? I really like the The Orthodox Church: 455 Questions and Answers book because it leaves so much room for discussion. I also love using Google Drive to keep everyone involved with church school in the loop about registration and attendance. In 2016, David Brooks, the New York Times columnist and author, gave the commencement address at the University of Pennsylvania in which he didn't offer the graduates platitudes about the future or praise for what they've accomplished. Rather, Brooks focused on what constitutes a fulfilling, meaningful life. He was dismissive of the notion that money, fame, or power could offer fulfillment or meaning. Rather, he focused on the necessity of making permanent commitments involving faith, family, and community. In this article, we would like to use this as the framework for a discussion of Christian marriage, divorce, and their relationship to one's commitment to the Church. Before we discuss the nature of Christian marriage, it is important to note what it is not. It is not merely a contract entered into by two persons who have chosen to make a legal commitment to live together and form a partnership. 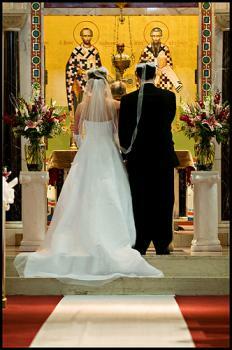 In the Orthodox marriage ceremony, there are no spoken vows and no "until death do us part."